Design and tattoo by Kylie Gibson! 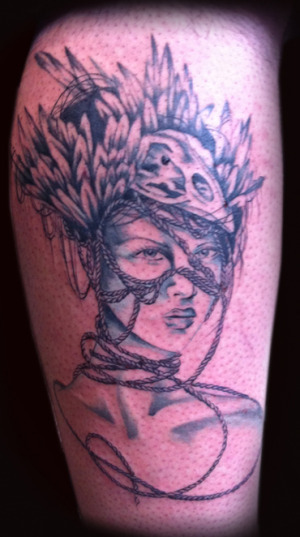 If you ever find an image in the artist's "Artwork" / "Paintings" portfolios and you want it tattooed, let us know! If it hasn't yet been tattooed, they will be ecstatic to get it on you!